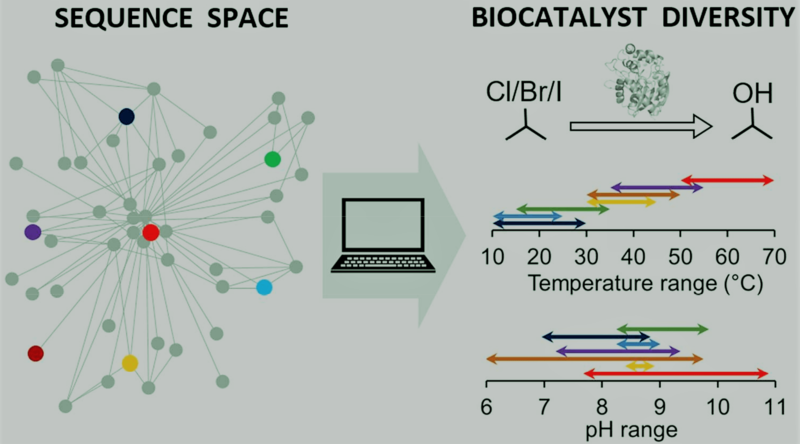 The traditional way of rationally engineering enzymes to change their biocatalytic properties utilizes the modifications of their active sites. Another emerging approach is the engineering of structural features involved in the exchange of ligands between buried active sites and the surrounding solvent. However, surprisingly little is known about the effects of mutations that alter the access tunnels on the enzymes’ catalytic properties, and how these tunnels should be redesigned to allow fast passage of cognate substrates and products. 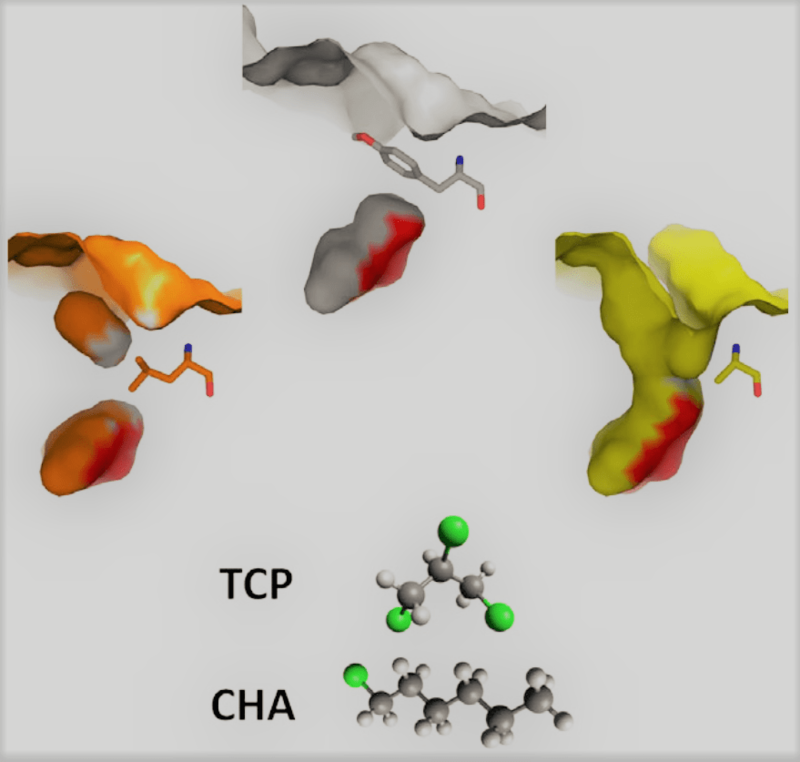 Thus, we have systematically studied the effects of single-point mutations in a tunnel-lining residue of a haloalkane dehalogenase on the binding kinetics and catalytic conversion of both linear and branched haloalkanes. The hotspot residue Y176 was identified using computer simulations and randomized through saturation mutagenesis, and the resulting variants were screened for shifts in binding rates. 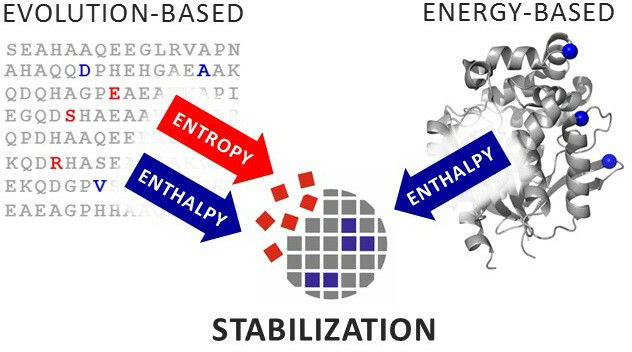 Strikingly, opposite effects of the substituted residues on the catalytic efficiency towards linear and branched substrates were observed, which was found to be due to substrate-specific requirements in the critical steps of the respective catalytic cycles. We conclude that not only the catalytic sites but also the access pathways must be tailored specifically for each individual ligand, which is a new paradigm in protein engineering and de novo protein design. 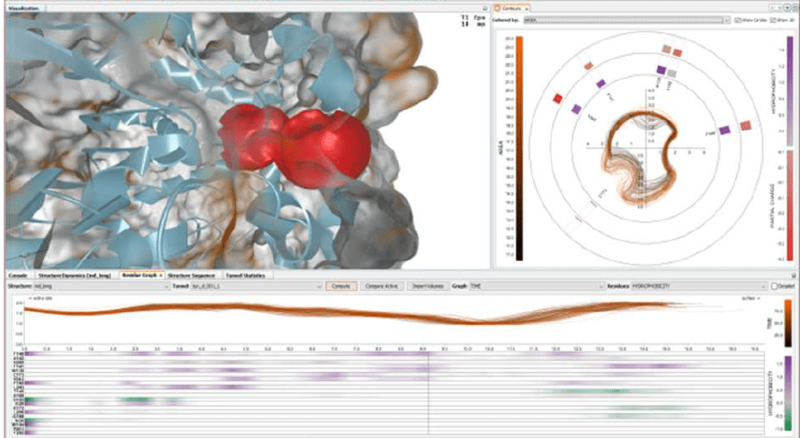 A rational approach is proposed here to address more effectively the task of designing ligand-specific tunnels using computational tools.